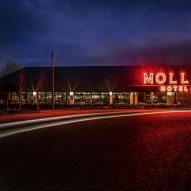 Drivers can stop off for a night's sleep at Mollie's Motel and Diner, a roadside hotel in Oxfordshire, England, designed by Soho House. In a bid to "reinvent the British roadside experience", Mollie's Motel and Diner features a sequence of contemporary guest rooms decked out with plush furnishings. 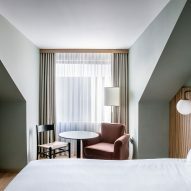 It is the latest offering from luxury hospitality company Soho House, which in the past few years has opened central London hotel The Ned, rural Oxfordshire retreat Soho Farmhouse, and members clubs in Mumbai and Amsterdam. "The roads are busier than ever, but the roadside hasn't really changed so there is a need," Nick Jones, founder and CEO of Soho House, told Dezeen. "I like to challenge myself and do something different, and Mollie's is a great opportunity to try out things we may incorporate into the Houses later on." Situated just off a major road that runs between Bristol and Oxford, the motel has 79 bedrooms including a handful of family suites with interconnecting bunk rooms for kids, a diner with a drive-through window, and a general store selling travel essentials. Room reservations can only be made through Mollie's website or mobile app, which also allows guests to check in and out, book tables in the restaurant, and gain access to their rooms. "I also want this to be the blueprint for the future of Soho House; using technology to create an even more streamlined experience," added Jones. Each of the bedrooms has been painted pale green and feature a king-sized bed, which sits in front of a grooved timber headboard. Decor has been kept simple with spherical wall lamps and burnt-red velvet armchairs that have been placed next to the windows. 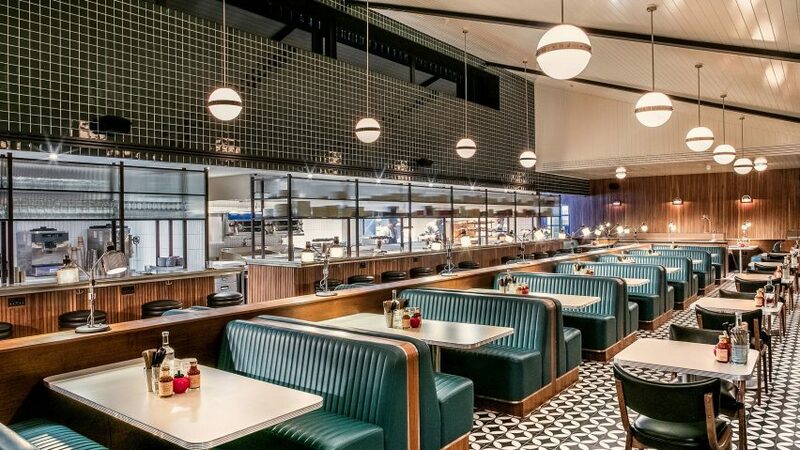 In the diner – which serves typical American dishes like burgers and waffles – guests can eat at the high-top counter that overlooks the kitchen, or in one of the deep green leather banquettes which have been stitched to resemble the seats inside classic Cadillac cars. "We did a lot of research into the American diner experience, taking inspiration from the finishes used within the restaurants. We have kept the materials true to those used back in 1950s and incorporating those into [Mollie's] design," said Jones. There is also a small area for guests to work, decked out with ornaments the Soho House design team sourced from local antique markets. 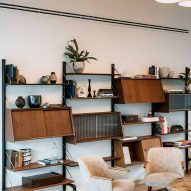 Soho House joins a number of other designers and architects subverting our typically unsavoury notion of roadside motels – US firm AvroKO recently rejuvenated the Calistoga Motor Lodge and Spa in California, giving its interiors an aesthetic akin to a Wes Anderson film. 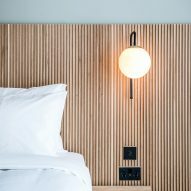 Nicole Cota Studio also overhauled a former motel to create The Drifter, a boutique hotel in New Orleans which features colourful tiled surfaces and custom furniture pieces.